#7Songs – Not Bad at All !! College is a time when you “grow up.” It was my first time away from home for any extended period of time and I was the only person from my town to attend Ohio University. I went there not knowing a single person. Now, you need to know that I graduated in a high school class of 73 people, and just joined a university that had 17,000 people attending at that time !! I suffered a major culture shock, but fell in love with everything the school had to offer. My sophomore year, I became a Resident Assistant (an RA). I was practicing HR even back then but didn’t know it. As an RA, you get a single room which meant you had a room that normally held two students all to yourself. 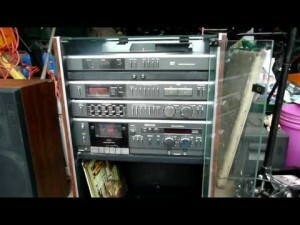 I saved up money and purchased a JC Penney MCS Stereo System !! It “looked” cool, but it wasn’t. Several students in the dorm had massive stereo systems with components, equalizers, woofers, etc. They could shake the building when they were turned on. Almost every day you could hear the low hum of systems just waiting to blast out music. I started my album collection in college and EVERY Friday I would come back from classes and a full week and pull out an EP to play this song . . . Almost everyone has a band that they can say defined their generation and U2 is that band for me. I know that they are a group that people either adore or don’t. There really isn’t a middle ground. I saw this song performed on a HBO special in the dorm late one night from one of their concerts and I was transfixed. I had never seen someone sing so passionately. Bono was dripping in sweat and the crowd hung on every word he sang. The Edge played the guitar in a way I had never heard before and Larry Mullen Jr. and Adam Clayton provided the solid drums and bass to keep things incredibly tight. After a full week it felt cleansing to pull this EP out of it’s sleeve and gently put the vinyl on my stereo. I played it so incredibly loud that I could hear nothing else. As the RA, I was supposed to keep things “in line”, but I wasn’t much of a rule follower even back then. I saw U2 as a group that was changing music and I saw myself in them because I too was changing and wanted to see things change even more. I would absolutely love to meet the band someday (another bucket list item). I continue to love everything they do, and my interest in them only grew from the time I had this EP. After I served as the chair of the Ohio SHRM State Conference, the committee was gracious enough to get me a signed copy of their Joshua Tree album. I’d like to think that I’d thank them for providing that release every Friday. In fact, I think I’ll go dust off that EP and slap it on my turntable once again . . . Author Steve Browne (Admin)Posted on December 14, 2015 Categories Random ThoughtsTags #7Songs, HRMusicShare, Life, Music, Ohio UniversityLeave a comment on #7Songs – Not Bad at All !! Recently, my good friend Michael Carty published a blog series noting his seven favorite songs. He was inspired by two other great friends – Tim Scott and Tony Jackson who did similar posts. These three are just a few of many friends who are music lovers. I think it’s great because music is something that brings most people together. We may have some commonality, but the wonderful thing about music is the diversity of thought and taste. A few years ago, a few of us even started the hashtag #HRMusicShare on Twitter. We use it to share what we’re listening to as well as music related links and/or videos. It’s a great outlet that reminds us that we all have many facets in our lives, and that we’re not about work and HR only !! The idea of #7songs is to list your favorite songs over seven days. Now, I’m sure that the songs I list may not be your faves, and that’s fine. I think it’s fascinating to hear people’s opinions because we are so passionate about what we listen to. Please note that this isn’t a series about favorite groups or artists. I could never get down to seven and trying to even pick these seven was a challenge !! I don’t know about you, but music moves me emotionally. I have music playing every minute I’m at work and also during my commute. Every once in awhile I hear something that literally brings me to tears. This song does that. Every. Time. I’m not kidding. It is an incredibly beautiful piece that I first heard during the Barelona Summer Olympics and I loved it. I forgot about it until I was playing the 3 CD (yes, I own CD’s and vinyl !!) set of Queen’s greatest hits. When it came on, I wept. Hearing Freddie Mercury sing reminded me of how amazing he was !! Freddie Mercury was the iconic “front man” of rock and roll. He was artistic, charismatic and incredibly gifted. The first time I heard Bohemian Rhapsody from Queen I couldn’t believe what I was hearing !! No one sang like Mercury (and few have since). If you were in a band, what would you do? I’d love to be the front man !! To stand in front of an audience and rally them with your music would rock. I can’t imagine what it would be like to be in front of thousands of screaming fans performing at Wembley Stadium. A great front man can get a crowd worked up, but they can also bring them to silence just by talking to them quietly. I may never get a chance to be the front man for a rock band, but it’s a great bucket list dream !! I do get the opportunity to speak at HR events and I never take it lightly. It’s an awesome responsibility and gets me close to my bucket list. This song captures the brilliance of Mercury and show the depth of his talent to be able to sing with an accomplished operatic soprano. He fits right in. When you listen to it, replay it and listen again. I’ll be joining you and be assured that the tears will well up !! Author Steve Browne (Admin)Posted on December 13, 2015 Categories Random ThoughtsTags #7Songs, HRMusicShare, Life, MusicLeave a comment on #7Songs !! This past weekend, some friends of mine and I went to a local pub. Our intention was just to catch up and share a few adult beverages. When I got there, my friends were all excited because the pub was doing a music trivia contest. A DJ played a snippet of a song and your team had to guess the song and the artist. My friends knew that I was really into music, so we jumped in eventhough we missed the first round. By the end of the contest we moved from missing the first round to placing 5th out of 20 teams. To say I was geeked was an understatement !! The true highlight of the night though came during The Beatles “speed round.” Ten songs with just a small bit played and you had to guess. During this round, more than the others, the patrons of the bar sang every song out loud. It didn’t matter that we were competing against one another. The music brought everyone together. What does this have to do with HR ?? 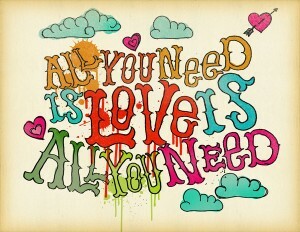 EVERYTHING !! To often in the workplace, we focus on what pulls us apart. In fact, some people in organizations count on this fact because if they can try to get people to see what bothers them, then you won’t even attempt to look at what draws you together. To be honest, this is draining and defeating. To constantly be at odds with others within your organization, and possibly in your own department, is detrimental and leads to discord and other nasty things. What things do you have around you that bring folks together? Is it music? It is another cultural tie that people rally around? Remember, there will always be folks who won’t join in to the ties that bind others together. The trick is to move toward the ties and let them be. In time, they will either not like the positive direction you’re going, or you can sit with them and say, “We’d love to have you be a part of this.” And show them what they’re missing. I don’t apologize for the music that emenates from my office. In fact, I keep it going even if I’m not in there to enjoy it. HR has the responsibility to set the constructive culture of a company and show how people can bring their indiviudal nuances and strength to make the “song” even better !! 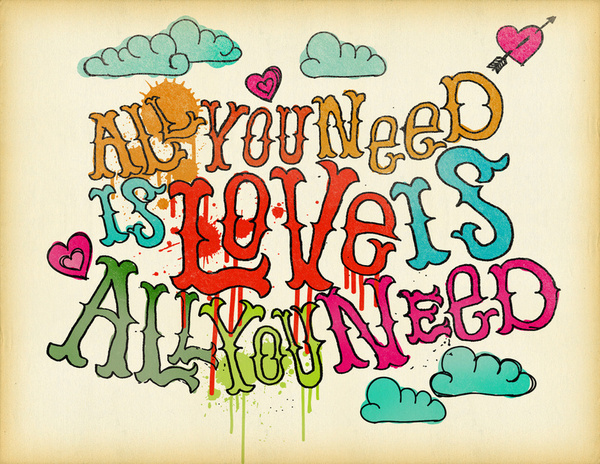 The Beatles kept it simple in their classic, “All You Need Is Love.” The question you have to ask yourself this week is . . . What do we need ??? Author Steve Browne (Admin)Posted on November 4, 2012 Categories HR Strategy, LeadershipTags Change, creativity, culture, Difference, employee relations, encouragement, HR, Human Resources, Music, workplace6 Comments on All you need is . . .